Caputo is from Yawalapitia tribe in Brazil. They are indigenous tribes located in the Amazonian Basin of Brazil. their population in 2011 is 156 people. Manioc is basically consumed in the form of bread (beiju, ulári) " toasted flour, flatcakes, toasted in circular pans -, porridge made with beiju dissolved in water (uluni), and a porridge which is produced by boiling the poisonous juice (nukaya). Cooking is done by both men and women; the processing of the manioc after it is planted (Socioambiental.org). She tells us about the practices in her tribe to insure the children grow up strong. Maria Aurora lives in the mountains, above the clouds, in Northern Peru near Chachapoyas. Amazonas is a region of northern Peru bordered by Ecuador on the north and west, Cajamarca Region on the west, La Libertad Region on the south, and Loreto Region and San Martín Region on the east. Its capital is the city of Chachapoyas. She is now 83 years old and mainly tends to her herb garden on the side of the mountain near her home. Mohenja is the midwife for the semi-nomadic tribe known as the Himbas. They are indigenous peoples in Northern Namibia. They are predominately livestock farmers. They also grow and farm some grain crops. Members from the extended family typically dwell in a Himba village with homes that are surround by an okuruwo, sacred ancestral fire. They have birthing practices and herbal lore that is used in maternity care. 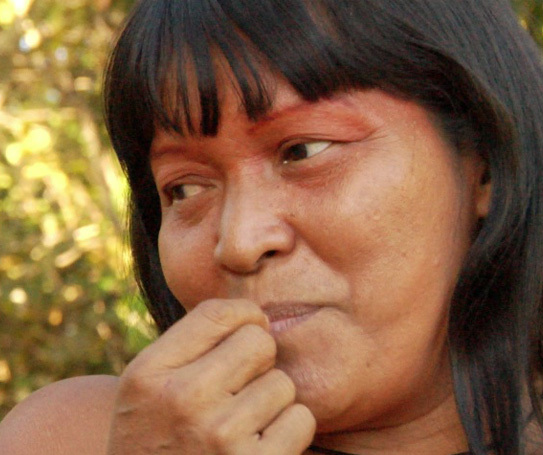 Eulalia is a Mayan Miwife now living on the coast of Belize. She has shared the Mayan Adominal Massage technique to many nurse in her area. Generally, midwives are held at high prestige for their sacred position in Mayan society. Dora is a Midwife for the Gurifuna people in Seine bight, Belize. She is also a seamstress for traditional Gurifuna cermonial dance clothing. The Gurifuna are descendants of West African, Central African, Island Carib, and Arawak people. Mystical practices and participation in the Dugu orders are also widespread among Garifuna. Some individuals from Sein Bight and Dangriga, Belize have claimed to have seen mystical feats. Paloma is a wife, a mother of two and a midwife not necessarily in this order! The pregnancies and births of her children, where she found the blessings of Midwifery Care in Montreal Canada, were the moving forces for her path in Midwifery. She got her training through the Association of Texas Midwives Midwifery Program being certified as a Professional Midwife by the North American Registry of Midwives in 2008. She also sough the help of Mentors in Canada, Brazil and Mexico. She spends her time between Canada and Brazil where she has an independent planned homebirth midwifery practice called Brasilia Conscious Birth Midwifery in the city of Brasilia since 2010. Alongside family life and midwifery one her passions is helping to foster a dialogue and a healthy integration between Tradition and Modernity including in our own personal lives. Irene Blanco Alcantara is a contemporary midwife from Barcelona, Spain. She shares with us the current situation in her country and Europe. She informs us about the histroy of midwifery in her area. Eleftheria Dimopolou is a traditional midwife living in Athens, Greece. Her name actually means freedom. She shares with us the current trends in Greece and insight on the ancient scholars influence on modern medicine. As well as some of the traditonal midwifery practices that occurred in villages in Greece. Bu Ju lives in the Hill tribes in Northern Thailand. She is from the Pa Kia village Akha tribe.Bu Ju tells us how the whole Ahka village celebrates the birth of a baby. "For example, if the baby born today, everyone cannot go to work in the following day. They must all stay to express their happiness for having a new baby." She tells us about the local herbs they use to speed up labor called Sima. Jua Nia Yong Kwa Toh lives in the Hill tribes outside of Chiang Mai, Thailand near organic coffee fields on the top of Doi Suthep mountain. 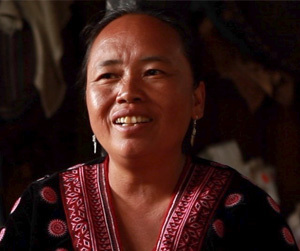 Jua Nia Yong is a seamstress and herbalist as well as a midwife. She helps the woman the same way she was helped during labor. Their village is surround by organic coffee orchids and they have a local cafe to get a cup of fresh mountain top coffee. Tee Cher Moe lives in the Hill tribes outside of Chiang Mai in Northern Thailand. Traditionally the Karen are animists which believe the spirits of "Land and Water" control the productivity of the land. They revere the forest, land and water by offering ceremonies to spirits in these places, and you learn of their practices giving the placenta to a tree in order to protect the forest in the film. Karen society is matrilineal were homes and lands pass to the women. Their language had eluded linguistic classification until they were finally classified as a branch of their own, namely "Karenic." She is a quite and respected midwife in her village. The Kogi base their lifestyles on their belief in "Aluna" - 'The Great Mother,' their creator figure, whom they believe is the force behind nature. The Kogi understand the Earth to be a living being, and see humanity as its "children". Waykeen talks about the mens supportive role in childbirth and how women are very connected to water. Suzanne Arms is a familiar name to many from her seven groundbreaking books (on pregnancy, birth, breastfeeding and adoption), films, photographs, and the hundreds of talks she has given at conferences worldwide since 1975. She has been an inspiration behind the Birth Movement. Her second book, Immaculate Deception, was named a New York Times Best Book of the Year and inspired thousands of midwives, nurses and physicians, as well as parents-to-be. Arms is an advocate for holistic, sustainable health policies and practices and conscious parenting. Her focus – and the focus of Birthing The Future, the U.S. non-profit she founded and directs – is birth and the mother-baby connection, which lays the foundation for love and trust, health and resiliency, cooperation and community. Farah Diaz-Tello is a senior Staff Attorney for National Advocates for Pregnant Women (NAWP). She is a graduate of the City University of New York School of Law, where she was a Haywood Burns Fellow in Civil and Human Rights. Her work at NAPW has focused on the rights to medical decision-making and birthing with dignity, and on using the international human rights framework to protect the humanity of pregnant women regardless of their circumstances. A proud Texan, she is an alumna of the University of Texas at Austin. As a cultural anthropologist, She has spent over 20 years researching issues in the anthropology of reproduction, focusing most closely on childbirth, obstetrics, and midwifery, which she continues to study and write about. She has branched out into other areas that fascinate her: ritual and gender studies, corporate futures planning, biomedicine, integrative medicine, science and technology studies. This for me is part of the magic of anthropology: it gives her a wonderful set of tools for studying any arena of life in the field of medical anthropology. She taught medical anthropology at Rice University and University of Texas.